So I mentioned in the last blog entry that I would talk about how some of our brides know other brides whose weddings we’ve photographed. Let me try and break down how we know Amanda. 1. Amanda came with Summer (whose wedding we’re shooting tomorrow) the first time we met with her. 2. Amanda is also friends with Meredith (who is having a destination wedding in Captiva that we’re shooting in March) and told her about us. 3. Meredith showed apartments to Lizzie and David. 4. Meredith’s fiance is Ulises whose spanish teacher was Maria. 5. Lizzie’s college roommate Elizabeth (and her fiance, one of Erik’s Groomsmen) is having us shoot her wedding in Atlanta this coming January. 6. 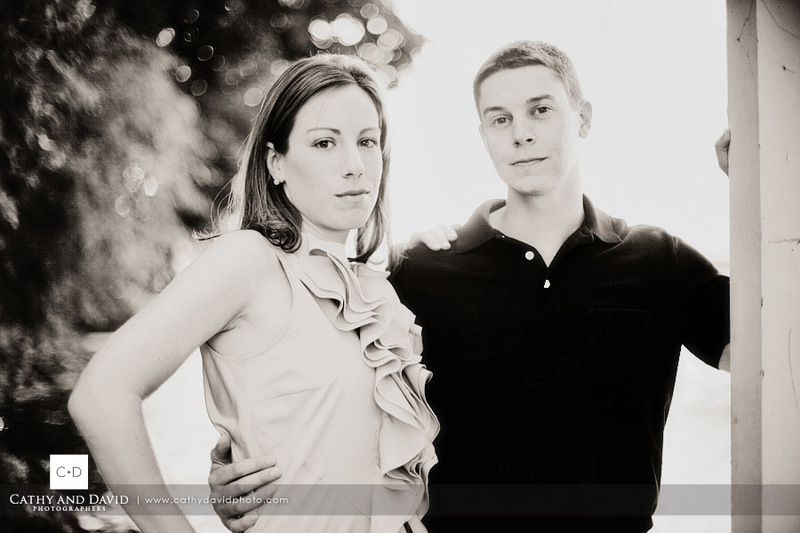 David (Lizzie and David) has a brother, Jonathan whose wedding we are shooting in Valparaiso next year. My brain starts to hurt just thinking about it… Anyways, this is always the topic of discussion when we get together with Amanda. Back when we did a couple of our Cathy and David Bride videos, with Summer and Meredith, Amanda came along and we joked that she was a Cathy and David Bridesmaid. We knew that she and Roger were very much in love and we waited for her phone call that they were engaged. I think it was through Summer that we heard the news and Amanda told us that we’d be the ones to shoot their wedding. We were pumped. So the weekend before last we shot Dyanne and Reid’s Oak Park Wedding and then the next day we drove up to Wisconsin to shoot Amanda and Roger’s engagement session on Lake Geneva. Her parents have a home near the lake and we figured since we would only be a couple of hours away that weekend it would be awesome to shoot there. After the engagement session, Amanda’s mom took us all out for pizza at the Upper Crust (the best freaking pizza I have EVER had in my life, by the way). I was sad to go, the location was beautiful and I think at some point Cathy and I will head back up there for a weekend. I can only imagine how much fun our friend Ann would have taking photos with their adorable pooch. 😀 I confess I took about 20-30 photos of just the dog.. I couldn’t help myself!! We love pets! Too any brides searching for Lake Geneva wedding photographers. 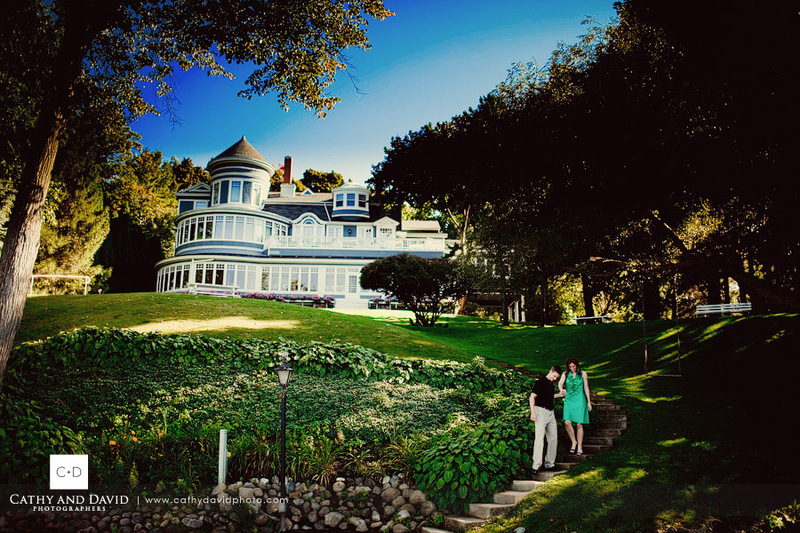 We would love to shoot a wedding here!! Janet Stephens - Nicely done, C+D! I especially am drawn to the one of the kiss from the back with all that luscious water for a background. Beautiful shots! Lizzie & David - these are stunning! Anna - So beautiful. As always. Love the legs in the surf. Amanda - Cathy and David I couldn’t be happier with the photos!!! Simply amazing!! I can not wait to see the dvd with the rest. Thank you so much. See you tomorrow! Amanda Reseburg - You make my home state look BEAUTIFUL! Maria Barker - More random connections…Amanda worked at the apartment complex where we met you guys the first time. Crazy! Congrats Amanda! You picked great photographers. Nicole - These are your best yet, guys! Love the first one and the one on the swing. Please tell me that isn’t her parents’ house? Because Wow. Awesome. Sandy Kays - Those are fantastic….I cannot pick a favorite since they are all so good!!! Summer - Love the photos! Amanda is so happy with all of them. Ryel - Great use of lighting! I love the last shot! Beautiful! Danielle - Beautiful work! My favorite are the dock photos…nice work! Raquel - HOLY COW! You guys rocked this out completly! The shots on the dock/pier/thingy….PERFECTO! These guys are crazy lucky to have you guys as their photographers! KL - Great pictures. Where on the Lake is that house and swing located? Super cute.